Entries are now open for the race taking part in Coalport (not the railway line route) on the new route taking in part of the Silkin Way, Rough Park and the Valley of Ironbridge. The race will take place on Saturday 22nd June and will start at 9am. The Marathon will consist of 3 laps and the half marathon 2 laps. Mixture of paths and tracks. Firstly Runners will start off the race married to their partner (these will be randomly selected or if you really want to run with someone we can be bribed) and you will start off running together having tied the knot. After competing your first lap for the half marathon or second lap for the full marathon, you’ll separate and go your own separate ways - one of you running the same direction and the other in reverse. Will you talk to your partner half way round the route - that’s your choice. Secondly when you enter, you will see there are two prices - with the raffle or without - £35 and £50. 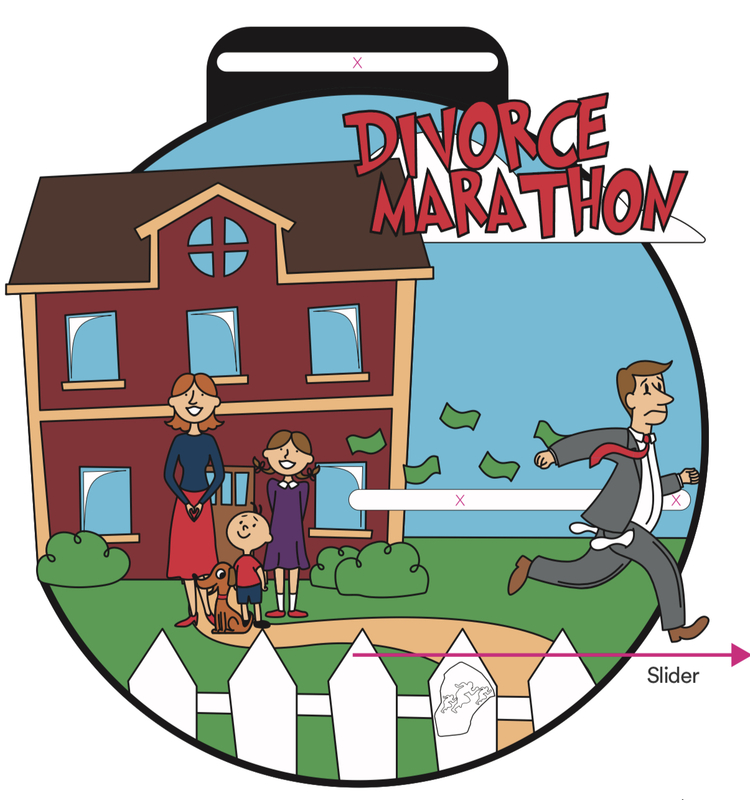 You will all experience the same day and medal, however if you sign up for the £50 package you will be in with a chance to win a divorce settlement. We will collect all the extra £15's and at the end of the day will award one boy and one girl randomly selected with a divorce settlement. Fingers crossed this could be £500 each. The race will start with speeches and confetti. All profits from this race will go towards enabling us to purchase a AED Defibrillator for our races, to increase your safety when you run with us.